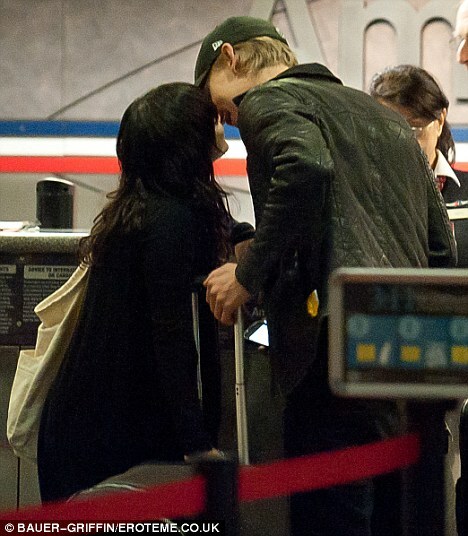 Vanessa Hudgens and Austin Butler share a sweet kiss at the American Airlines ticketing booth at LAX Airport in Los Angeles on Saturday night (December 3). Earlier in the day, the twosome were spotted on a walk after lunching with a friend in Burbank. There are just 10 more days until Vanessa turns 23! Have you been participating in her birthday project on her official site? Also take a peek at the new character posters for her upcoming flick, Journey 2: The Mysterious Island.